The joint of the lower jaw is known as the Temporo-Mandibular Joint (TMJ), and it joins the skull in close proximity to the ears. Problems arising within either of these joints are often referred to as Temporo-Mandibular joint Disorders, or (TMD). External sources of trauma; these include motor vehicle accidents, (MVA), often involving whiplash, or single blow to the head or neck, either as a result of a motor vehicle accident (MVA) or from a fall, fight or sports injury; trauma may also result from Oral Surgery procedures. Internal trauma; this involves habits in which the joint is involved, for example, grinding or clenching the teeth; lip, cheek or nail biting, or holding foreign objects between the teeth e.g. pen/pencil chewing. Muscle overactivity; when muscles associated with chewing are over used or used in an abnormal manner, either when awake or sleeping. This may also include abnormal head and neck posture. Pain:Pain is a very common symptom associated with TMD. The pain may be localized to a specific area, e.g. the muscles associated with chewing, in the area of the joint, (ie near the ear, mimicking ear ache), neck pain, head ache or migraines. If the teeth are the cause of the TMD, then any or all of the teeth may be sore, even to the point of individuals seeking to have the nerve removed from the tooth or even have the tooth extracted. Joint sounds & jaw function:When the jaw is moved there should be no noises emanating from the joint area. In some cases of TMD, there are varying joint sounds which may occur when the jaw opens, and/or closes. Extreme joint problems may result in the jaw being “locked” open or “locked” shut so that the individual has difficulty either opening or closing the mouth. 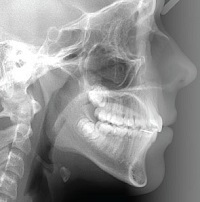 Normal jaw function involves a simple closure of the jaw without any deflection. This means that all the teeth should touch at the same time without the jaw being deflected out of a simple closing action. A so called, premature contact, would occur when one or more teeth are out of alignment and correct dental interdigitation or “meshing together” of the teeth does not occur. Consequently, instead of the jaw closing smoothly, it is deflected out of its correct position. As a result of this, the TMJ is unable to close smoothly, this in turn, causes the muscles to be strained to varying degrees. It is this abnormal muscle activity that contributes to TMD and can contribute to headaches and migraines..
Jaw Problems may contribute to Headaches and Migraines, so it is important to have them professionally addressed. It is also important to investigate for other potential causes, as many cases of Headaches and Migraines have more than one ingredient. Dr Greg White, completed his General Dental Studies Melbourne University in 1976 and his Orthodontic studies at Melbourne University in 1993. Dental Specialist in Oral Medicine. A referral from a dentist is NOT necessary.